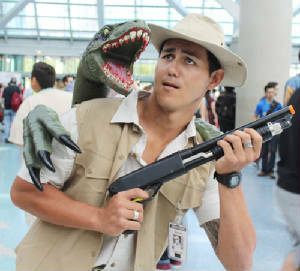 We're back from WonderCon 2019 with our first hand report from this amazing convention. The show was filled with exciting panels, surprise announcements, and tons of celebrity guests. Click the link to find out why this was the best WonderCon in years! 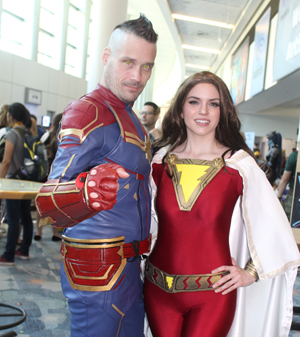 Check out all the wonderful sights from WonderCon 2019 in our exclusive image gallery. It's an assortment of great pics direct from the show floor. 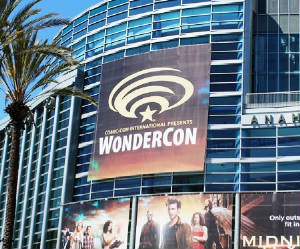 This year WonderCon was bigger and better than ever before. It was three wonderful days filled with celebrity guests, amazing exhibits, and tons of cosplay fun! It's time for WonderCon! 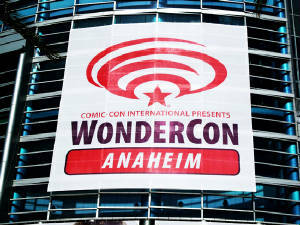 The extremely popular expo returns to its home base in Anaheim for what promises to be the most exciting WonderCon yet! Get a sneak peak at all the special events and surprises that await you at WonderCon 2019! 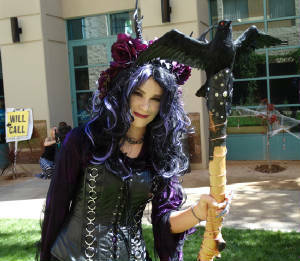 Power-Con returns to Southern California for two days of fantasy fun! 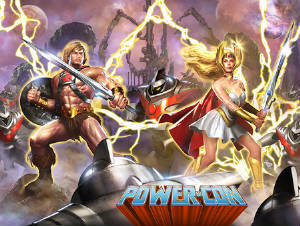 The popular convention celebrates the legendary Masters of the Universe franchise. The show was filled with live events, exclusive merchandise and celebrity guests. Click the link to read our exclusive report! Check out all the sights from this fantastic event, including cool new merchandise, classic toys, cosplay, celebrity guests, unique artwork and so much more. Our image gallery is filled with over 70 exclusive images direct from the show floor! Scoring exclusive merchandise is one of the best reasons to attend the San Diego Comic-Con. Fans wait in line for hours just to get their hands on these highly sought after collectibles. 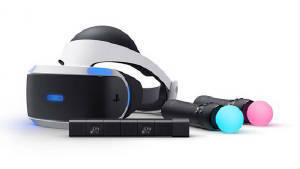 So which exclusives will be the hottest at the 2018 show? Click the link to find out! Think your day ends when the exhibit hall closes each night? Well just because the show is over that doesn't mean the fun has to end. Let's take a look at some of the cool stuff that's happening when the sun goes down. 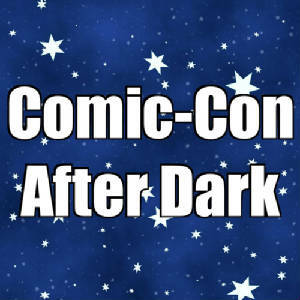 It's Comic-Con after dark! 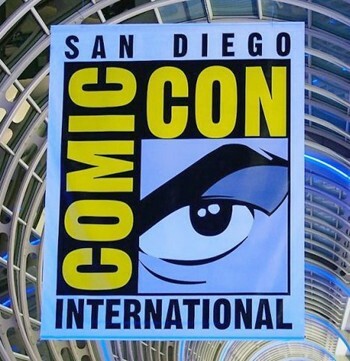 San Diego Comic Con 2018 is right around the corner! Honest Abe takes a look at the great special events that are happening outside of the convention center. Prepare for a fun filled comic con with our special event feature. The San Diego Comic-Con starts this week. A seasoned veteran of the show gives you vital tips to help give you the best Comic Con experience. Don't go to Comic-Con without reading this handy updated survival guide. 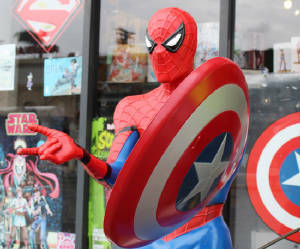 Dig That Box celebrates Free Comic-Book Day at Golden Apple Comics in Hollywood. Fans lined up early for this awesome yearly event. It was a day filled with fun, free stuff, celebrity guests and some other big surprises! We're back from WonderCon 2018 with our first hand report from this amazing convention. The show was filled with exciting panels, surprise announcements, and tons of celebrity guests. 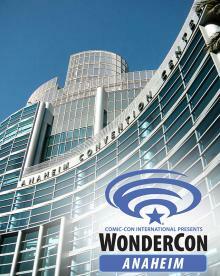 Click the link to find out why WonderCon is the best show in Anaheim! Check out all the wonderful sights from WonderCon 2018 in our exclusive image gallery. We have over 75 images direct from the show floor. This year WonderCon was bigger and better than ever before. It was three wonderful days filled with celebrity guests, amazing exhibits, and tons of cosplay fun! 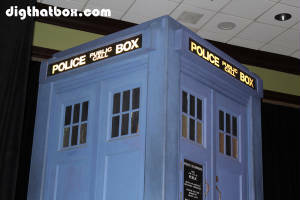 Step inside the Tardis and take a trip to Gallifrey One. This fan created Doctor Who convention is a celebration of the legendary and beloved BBC science fiction franchise. 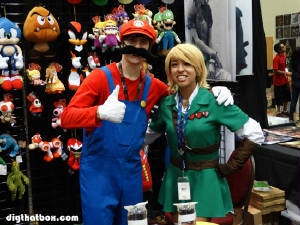 It's one of the most fun and unique conventions we've covered this year. 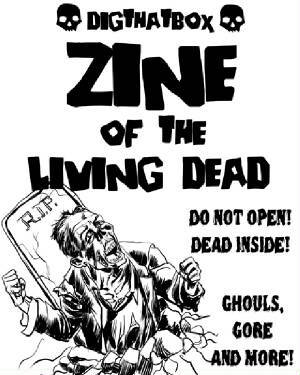 Take a trip back to the 80's with our newest zine! 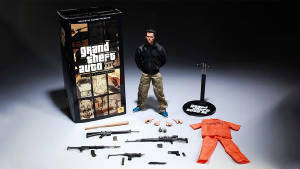 Our latest publication is a tribute to the action movie decade. 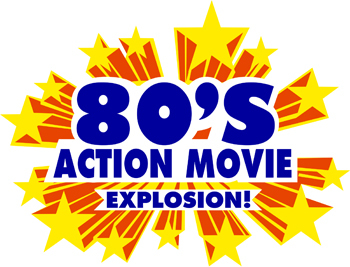 The 1980's were the peak of the action film genre. This new pulp is 8 pages of explosive fun! Click the link to learn more about its contents and find out where you can get your own copy. 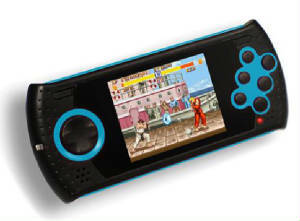 Back in 2010 we created our very first Dig That Box collectible arcade token. 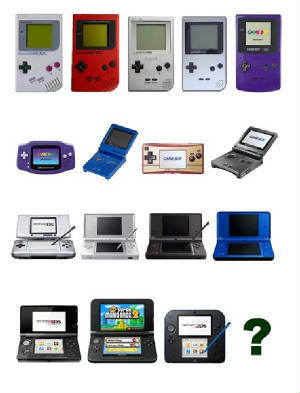 Since that time our coins have grown into a gaming phenomenon. Our extremely popular coins have been distributed to every state in the nation and to 48 different countries around the world. As of 2018 we have created 17 different coins, with no signs of stopping. Catch up on the entire Dig That Box arcade token collection and learn the history behind each of our special coins. Super Secret Mega Man Arcade Token Revealed! Our super secret winter arcade token is revealed! 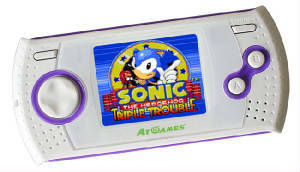 We are proud to announce a brand new collectible coin made in partnership with our friends at Retro-Bit. This awesome new coin features Mega Man! 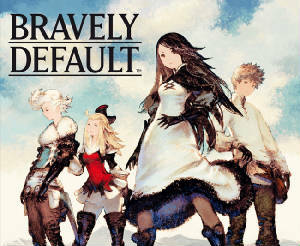 He is one of the most popular and beloved video game characters of all time! 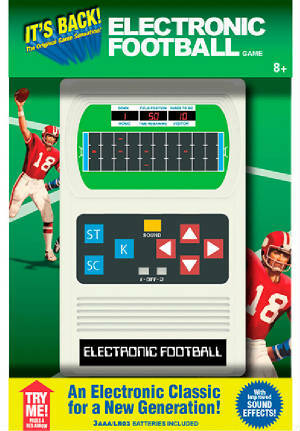 Click the link to see how you can get your hands on this hot new collectible! Another San Diego Comic-Con has drawn to a close. After four amazing fun filled days we're back from the big show with our exclusive report. Find out why Comic-Con just keeps getting better with each passing year. Click the link to read more. See our picks for the biggest and the best moments of Comic-Con 2017. Every year the show is filled with so many incredible events it's very difficult to pick just a few. Click the link to see if your favorite moment made the list. 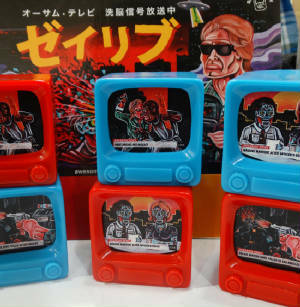 Designer toy company Super7 returns to Comic-Con to celebrate the release of a ton of cool new products. 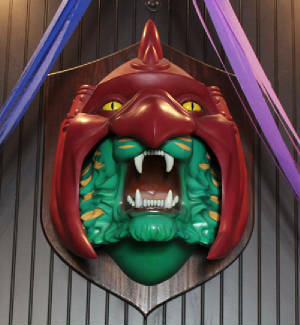 Take a trip back to Skeletor's Lair to see all the new stuff the company had on display at their awesome off site store. Get a close up look at all of the props and costumes from the new Star Trek Discovery TV series. 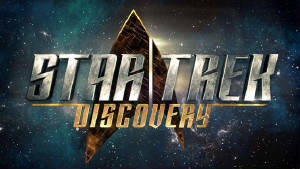 This is your chance to get a sneak peak into the highly anticipated new chapter in the Star Trek TV saga. Check out our awesome image gallery from Comic-Con 2017. See over 100 exclusive photos direct from the show floor. Get a first hand look at all the fun and excitement of Comic-Con International 2017! Scoring exclusive merchandise is one of the best reasons to attend the San Diego Comic-Con. 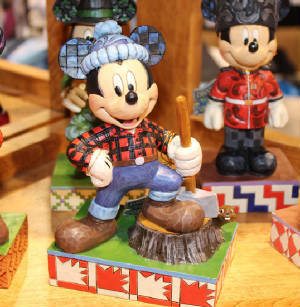 Fans wait in line for hours just to get their hands on these highly sought after collectibles. So which exclusives will be the hottest at the 2017 show? Click the link to find out! San Diego Comic Con 2017 is right around the corner! Honest Abe takes a look at the great special events that are happening outside of the convention center. Prepare for a fun filled comic con with our special event feature. Our Comic-Con 2017 Newswire page is now LIVE. Stay up to date with all the exciting news from San Diego. 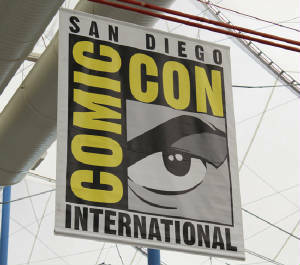 Also, visit our Comic-Con Archives and see highlights from previous events. Celebrate the show with the most unique Comic-Con coverage on the web. See our favorite products and software from E3 2017. There are many big surprises on our list. Find out who really won the show. Plus we have a few "best of" categories you won't find on any other web site. We cover the expo like no one else. Its all just a click away! 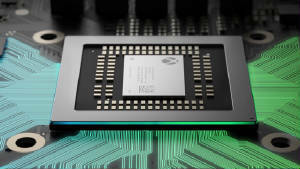 The E3 Expo is this week and we have created our own wish list for the show. 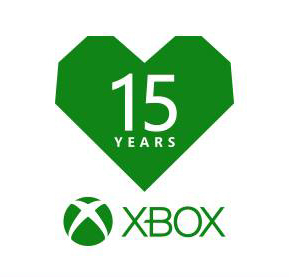 We've got something for everyone, huge new games, the return of old favorites, virtual reality gaming and more! 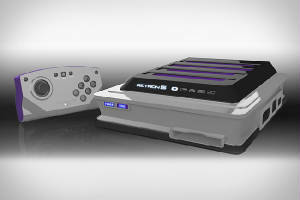 Our wish list is filled with incredible goodies that will satisfy gamers of all tastes. It's all just a click away. UPDATE: NEW COIN REVEALED! CONTEST NOW OPEN! Join the celebration as we countdown to the release of our 2017 collectible arcade token! There will be fun and prizes for everyone! It all ends with a special contest and a very BIG surprise. Be sure to collect the secret words to increase you chances of winning! We're back from WonderCon 2017 with our first hand report from this incredible event. The show was filled with exciting panels, surprise announcements and tons of celebrity guests. Click the link to find out why this was the best WonderCon in years! Check out all the wonderful sights from WonderCon 2017 in our exclusive image gallery. We have over 100 images direct from the show floor. This incredible show finally makes a triumphant return to Anaheim, CA. It was three wonderful days filled with celebrity guests, amazing exhibits, and tons of cosplay fun! It's time for WonderCon! 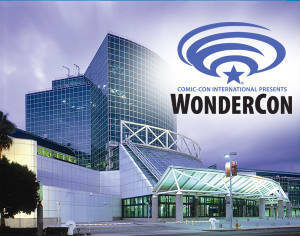 The extremely popular expo returns to its home base in Anaheim for what promises to be the most exciting WonderCon yet! Get a sneak peak at all the special events and surprises that await you at WonderCon 2017! Regrets of the Past is a new independent film created by special effects wizard Bernhard Weber. 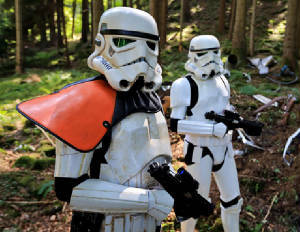 The long awaited Star Wars fan film has just made its debut in Vienna, Austria. The final product is masterfully created production with impressive visuals, a compelling story and a great cast. Click the link to read our review. This article is written in both English and German! 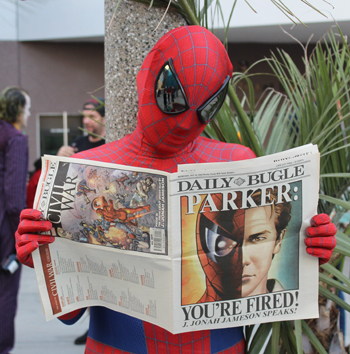 The Long Beach Comic Expo helps kicks off convention season with a bang. It was a weekend full or artists, celebrity panels special guests, cosplay and more. Click the link to read our first hand report on the big show. Check out all the sights from Long Beach Comic Expo 2017. Our gallery is filled with over 70 exclusive images. 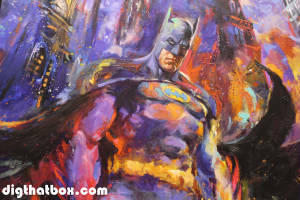 Our gallery has it all, from unique artwork, to celebrity sightings and cosplay coolness. We cover the show like no one else. There’s a brand new convention in town. 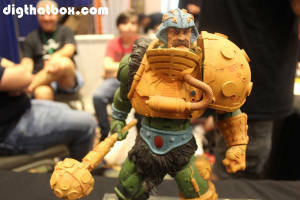 Check out our review of the first ever Comic Excitement Convention. This fledgling expo showed a lot of potential in its first outing. Click the link to learn more about the first new convention for 2017. We're back from PRGE 2016. 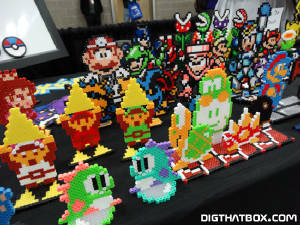 This incredible retro gaming expo has grown bigger and better with each passing year. 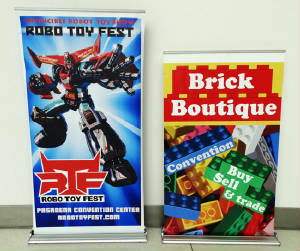 The show was filled with events, attractions, and cool new merchandise. 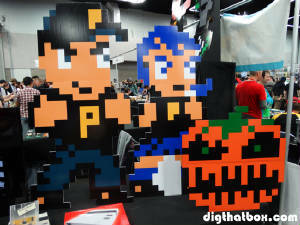 See why this was the best show in PRGE history! Click the link to read our exclusive report. 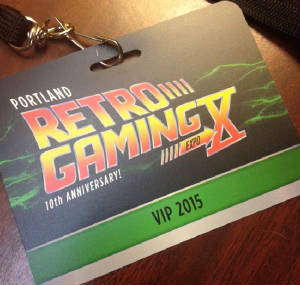 Take a visual tour of the Portland Retro Gaming Expo. Our massive image gallery contains over 130 exclusive photos direct from the show floor. Click the link to see all the amazing sights from this incredible show! 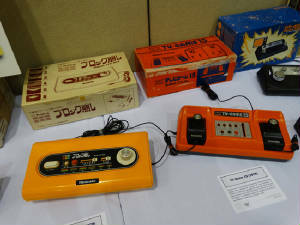 Check out our video coverage of PRGE 2016. 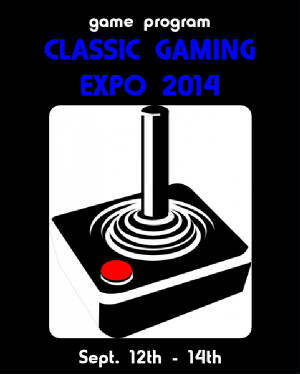 Take a walking tour of the expo, see all the exclusive homebrew games, discover some amazing new consoles and video game hardware, walk through the free play arcade, and visit the best exhibitors at the show. 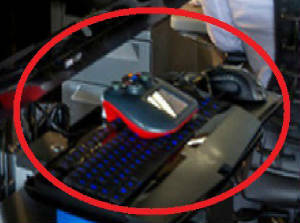 We have tons of exclusive videos of direct from the show floor. 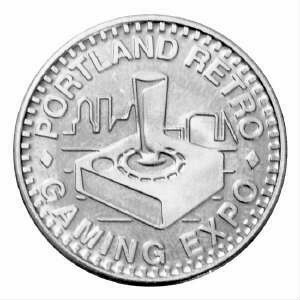 We are proud to announce a brand new collectible arcade token, minted exclusively for Portland Retro Gaming Expo 2016. This beautiful new coin will be made available exclusively at PRGE, with a very small amount set aside for members of our Arcade Collector's Club. The new coin marks the 15th entry in our collectible coin family. Click the link to read the exciting details! Legendary film director John Carpenter joins with some of the biggest names in the comics industry for an incredible premiere event at Golden Apple comics. Take a trip with us to the best comic store in Hollywood and see how we got the chance to meet a horror movie icon! The Son of Monsterpalooza Returns! The Son of Monsterpalooza returns for three days of spooky fun! Take a trip with us to the coolest monster convention on the west coast. Thrill to all the scary sights from this amazing celebration of movie monsters! 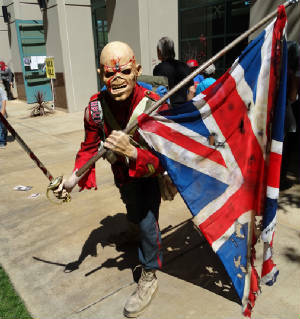 Check out all the spook-tacular sights from the Son of Monsterpalooza convention. 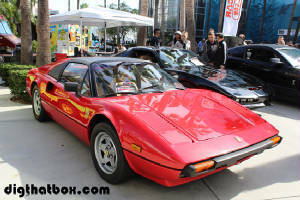 Our gallery includes over 120 exclusive pics direct from the show floor. See all the celebrities, artwork, costumed creatures, cool merchandise and more in our exclusive photo gallery. We're back from the amazing Long Beach Comic Con. The show brought together artists, celebrities and super fans for a celebration of comic book culture. It was a weekened filled with fun and surprises. Click the link to read our first hand report. 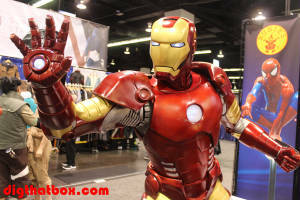 Check out all the amazing sights from the Long Beach Comic Con in our exclusive image gallery. We have dozens of pics straight from the show floor. 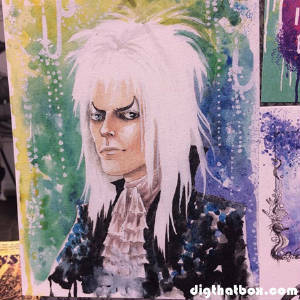 Our gallery is filled with artwork, cosplay, celebrities and a few other surprises! 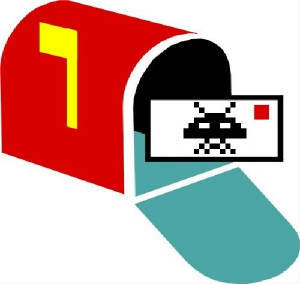 After months of stuffing envelopes we have completed the 2016 arcade token mailing. This year we shipped coins to over 500 people around the globe. Learn all about our exclusive new collectible coins. 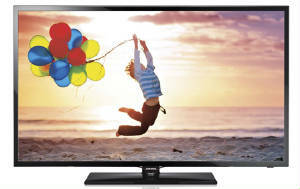 Also find out who won all the big prizes in our yearly giveaway. You will even get a glimpse at our plans for the future of this exciting event! Super Secret Summer Coin Revealed! Our super secret summer arcade token is revealed! 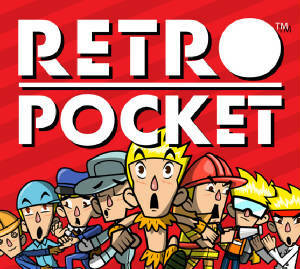 We are proud to announce a brand new collectible coin made in partnership with our friends at Retro-Bit. This awesome new coin features Arthur from the legendary Ghosts ‘n Goblins franchise. 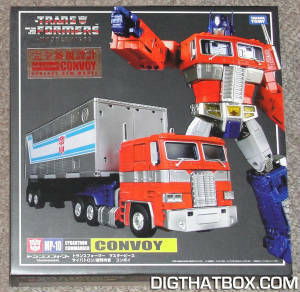 Click the link to see how you can get your hands on this hot new collectible! 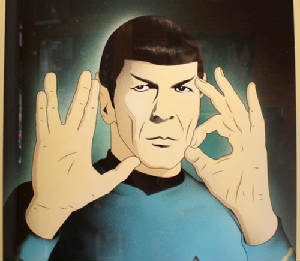 In honor of the 50th anniversary of Star Trek, CBS Studios Inc has created a very special art exhibit. Take a look inside this new travelling show which is titled Star Trek: 50 Years, 50 Artists. It is a glorious artistic celebration of the history of Star Trek. See our favorite products and software from E3 2016. There are many big surprises on our list. Find out who really won the show. Plus we have a few "best of" categories you won't find on any other web site. We cover the expo like no one else. 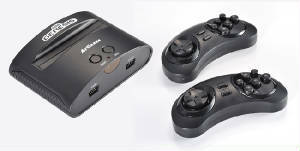 Its all just a click away! Check out the coolest swag from E3 Expo 2016. Get an inside look at all the great promo items that were only available to people who attended the show. We have many strange and unique items on our list. Click the link to see all the loot we brought back from E3 2016! One of our writers has a chance encounter at the E3 Expo with an infamous professional wrestler and movie star. He quickly discovers the real man behind the legend. 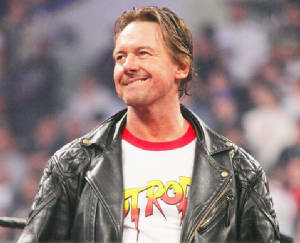 Catch a glimpse of the real Roddy Piper in one of our best E3 Memories. Click the link to read more. 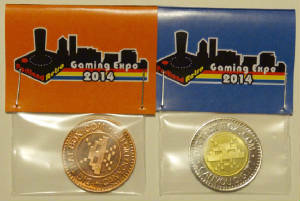 Get Our New Collectible Coin FREE! Our 2016 Arcade Token Give-Away is now LIVE! 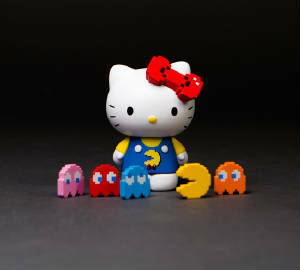 Collectible Arcade Tokens will be available at the E3 Expo and online. 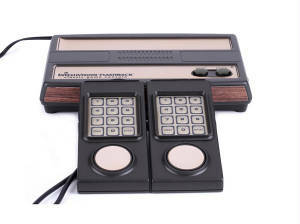 Click the link to learn how you can get your hands on a piece of video game history! 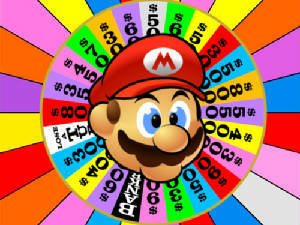 New Lucky Seven Collectible Arcade Token! 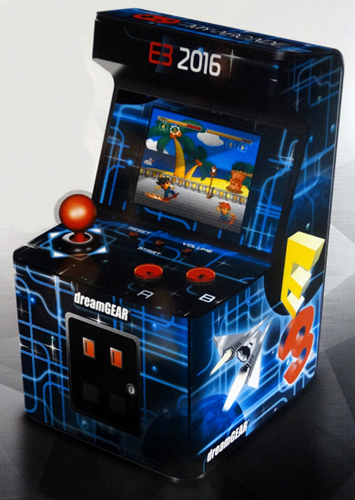 DigThatBox.com is proud to reveal our new 2016 collectible arcade token. We have created a brand new coin celebrating the seventh year of the arcade token giveaway. 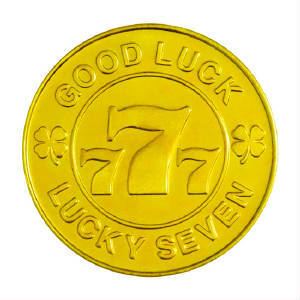 Learn all about our new lucky seven arcade token. This awesome collectible coin will be distributed for free at E3 Expo 2016, PRGE 2016 and will be made available in a special mail away program. Click the link to read our official announcement. Legendary actors and artists from the Godzilla franchise united on stage at Monsterpalooza 2016. 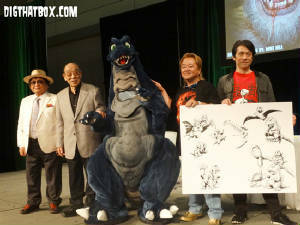 The pillars of the Godzilla series shared their adventures and signed autographs for their many adoring fans. It was a once in a lifetime event and we were there to witness it. 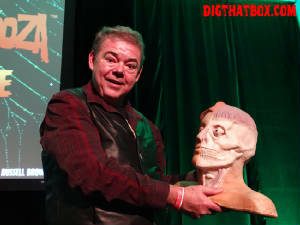 The Monsterpalooza convention finds a new home in Pasadena. We've returned from the big show with our eye witness report of all the scary fun. 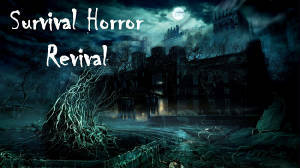 It was a three day celebration of movie monsters. 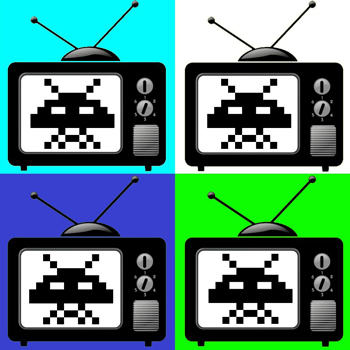 Find out why this was the biggest and the best year in the history of the popular show. Witness the terror of Monsterpalooza 2016. 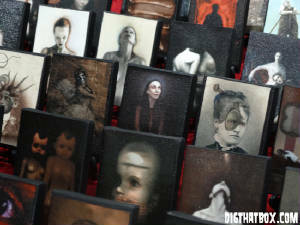 Our exclusive image gallery has over 180 spook-tacular photos straight from the show floor. See all the creatures, costumes and celebrities from this amazing three day show. Witness the rebirth of the world's greatest superheroes. DC Comics reveals their plan to reboot their entire comic universe in one epic event. DC has assembled a super team of artists and writers for this ambitious new project. Click the link to read all the exciting details and learn what you can expect from the DC Comics Rebirth! 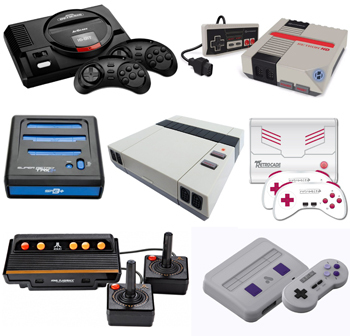 DigThatBox proudly announces our 2016 arcade token celebration! 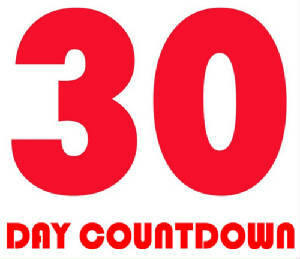 In this gallery we will be posting a new token every day for the next 61 days. Our countdown concludes with the reveal of a very special coin that celebrates the seventh year of our collectible arcade token giveaway! Click the link to learn the history of our coins, and see an amazing gallery filled cool and unique tokens from around the world. We're back from WonderCon 2016 with our first hand report from this incredible event. The show was filled with exciting panels, surprise announcements and tons of celebrity guests. Click the link to find out why this was the best WonderCon in years! 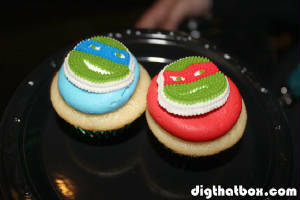 Get ready to party with the Ninja Turtles as we head to a special event celebrating this awesome franchise. There's a lot of cool stuff happening in the Ninja Turtle universe, everything from cool new toys, a hugely popular TV show, and a major new film. Get in on all the fun as we get down with the Ninja Turtles! Check out all the wonderful sights from WonderCon 2016 in our exclusive image gallery. We have over 120 images direct from the show floor. This incredible show comes to Los Angeles for a once in a lifetime event. Three wonderful days filled with celebrity guests, amazing exhibits, and tons of cosplay fun! 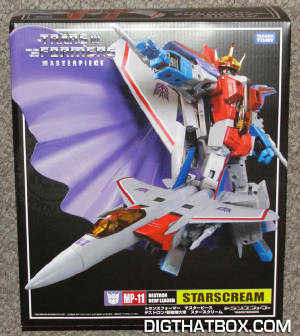 It's a great year for exclusive merchandise at WonerCon 2016. Get a glimpse of some of the best items available for sale at the show. 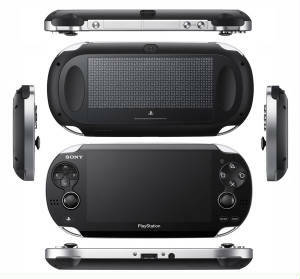 We'll be lining up early just to get our hands on this loot! It’s the most wonderful time of the year. It’s time for WonderCon! The mega popular expo finally comes to Los Angeles. This year the show is bigger and better than ever before. 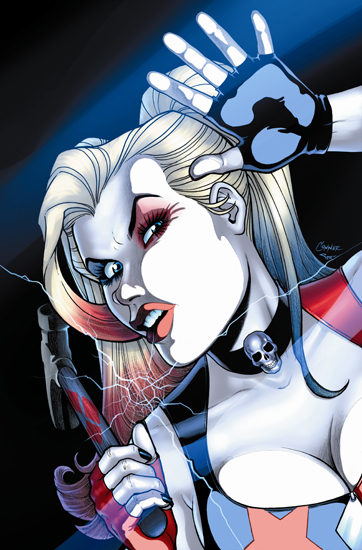 Get a sneak peak at all the exciting events and surprises that await you at WonderCon 2016! We're back from a weekend of fun in the sun at the Long Beach Comic Expo. The 2016 expo was a blast! it brought artists, celebrities and super fans together in one great celebration of pop culture. Click the link to read our first hand report direct from the show floor! See all the sights from the Winter 2016 Long Beach Comic Expo. Our gallery is filled with exclusive images of all the neat stuff on display. We've got it all from celebrity sightings, cosplay fun, cool merchandise and so much more. It's all just a click away! Andre the Giant was a wrestling legend and a TV and movie star. Now a new biography reveals the true story of the beloved icon. It is a heartwarming tale based on the testimony of his family and closest friends. 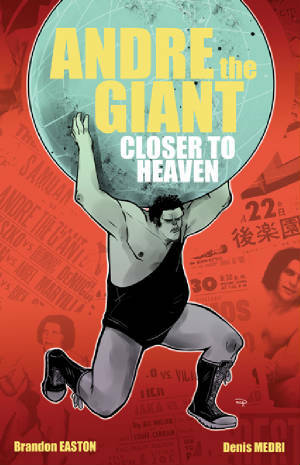 Click the link to read our review of Andre the Giant: Closer to Heaven. 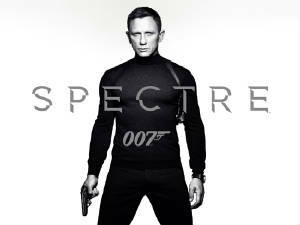 007 returns in Spectre, the next chapter in the long running James Bond movie franchise. This film marks the 24th on screen adventure for the iconic secret agent. 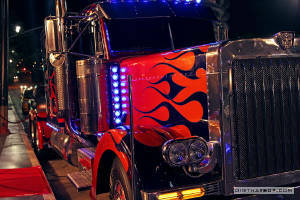 After the tremendous success of the previous film expectations are very high for the new movie. 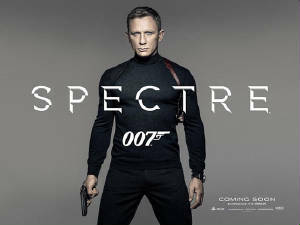 Does Spectre live up to the hype? Click the link to find out! Go behind the scenes of Spectre in our exclusive new video feature. Travel the world and visit all the exotic filming locations. Take a sneak peak at all the exciting action and stunts. Get up close and personal with the stars of the latest James Bond adventure! The Son of Monsterpalooza Terrorizes Burbank! 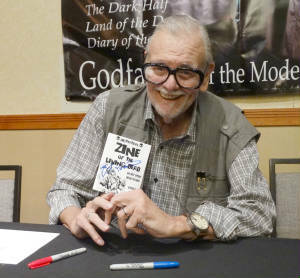 The Son of Monsterpalooza terrorizes Burbank, CA for three days of scary fun! Take a look inside the coolest monster convention on the west coast. Thrill to all the sights and sounds of this amazing celebration of movie monsters! Check out all the spook-tacular sights from the Son of Monsterpalooza convention. Our gallery includes over 150 exclusive pics direct from the show floor. See all the celebrities, artwork, costumed creatures, cool merchandise and more in our exclusive photo gallery. Check out our brand new photo gallery from the D23 Expo. We're back from the big show with a treasure trove of great exclusive pics. Take a tour of the show floor and see all the wonders on display in our awesome image gallery! We're back from the D23 Expo! The show is a dream come true for Disney fans everywhere. Read our first hand report detailing all the fun and surprises at this wonderful show. This was definitely the most thrilling D23 Expo yet! 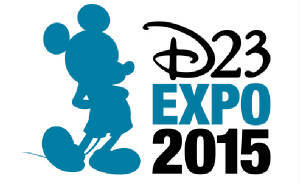 The D23 Expo is coming to Anaheim this weekend and we’ve got a special sneak preview of the show. The D23 Expo is a magical celebration of everything we love about Disney. Get ready for the big show with our exciting preview. 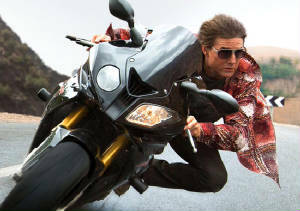 Tom Cruise is back as agent Ethan Hunt in Mission: Impossible Rogue Nation. The next big summer blockbuster arrives in theaters this Friday and we've got a front row seat to the premiere. 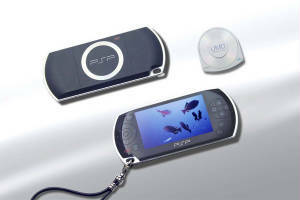 Click the link to read our early review of Mi5! 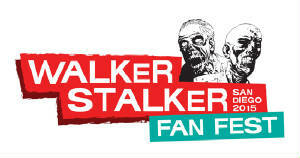 Get up close and personal with the stars of The Walking Dead at the Walker Stalker Fan Fest. Read our review of this unique celebration filled with zombies, games and celebrity sightings. 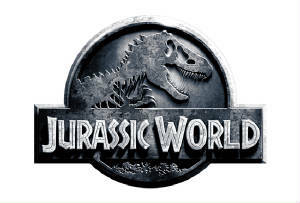 Jurassic World hits theaters this Friday and we have a sneak peak behind the scenes of this highly anticipated summer block buster. The new film stars Chris Pratt and Bryce Dallas Howard. Click the link to watch our exclusive video! 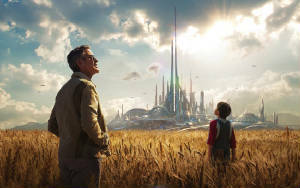 Disney's amazing Tomorrowland hits theaters this Friday and we have a sneak peak behind the scenes of this highly anticipated sci-fi epic! 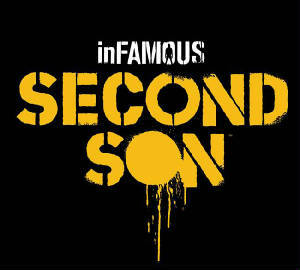 The new film stars George Clooney and Britt Robertson. Click the link to watch our exclusive video. 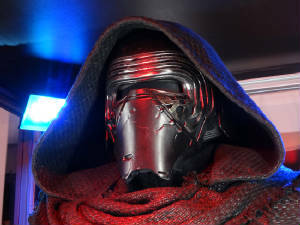 Get an up close and personal look at the Star Wars: The Force Awakens Exhibit. Check out dozens of exclusive photos of the exhibit and take a video tour of the entire museum. See props, costumes and models used in the making of the new movie. 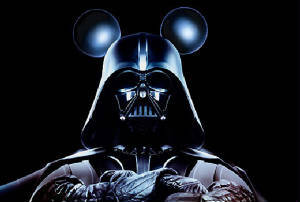 Also get your first look at the new villain Kylo Ren! We're back from the biggest Star Wars themed party in the galaxy. Click the link to read all about our adventures at the Star Wars Celebration in Anaheim. It was four amazing days of fun set in a galaxy, far, far away! The force is with baseball fans as Star Wars Night comes to Angel Stadium. 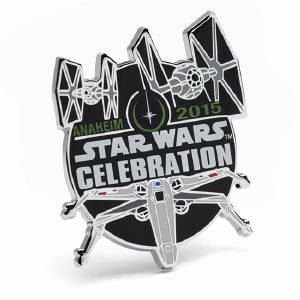 Take a trip to Anaheim to witness the fun and festivites at this unique Star Wars themed event. Check out our picks for the Top 25 Star Wars Celebration exclusives. 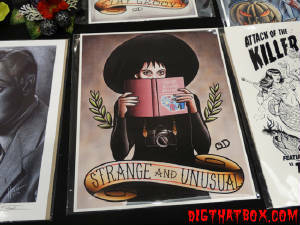 See all the amazingly cool stuff that will be available at the show. 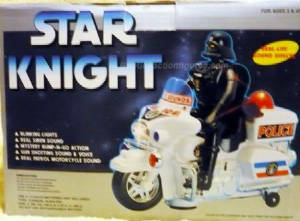 It's a dream come true for Star Wars collectors everywhere! Another WonderCon is in the history books. 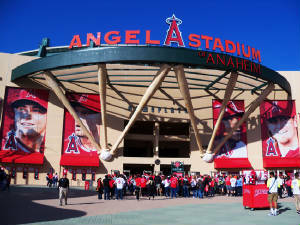 We’re back from Anaheim to give you our first hand report on the big show. Click the link to read about all the fun and excitement at WonderCon 2015. Read our terrifying recap of Monsterpalooza 2015. See all the sights, sounds and scares of this incredible monster movie convention. Our coverage of the show is sure to chill you to the bone! See all the spooktakular sights from Monsterpalooza 2015. 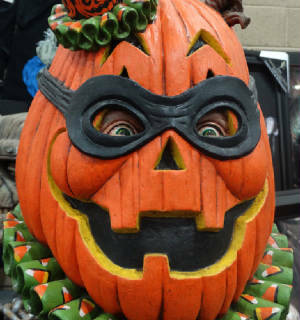 Check out all the costumed creatures, artistic creations and all the incredible merchandise on display. 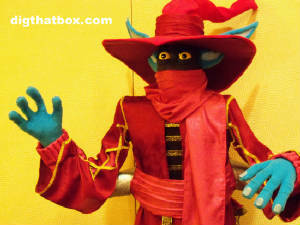 Our photo album also includes images from the amazing Monsterpalooza museum! Take a video tour of the amazing Monsterpalooza Museum. 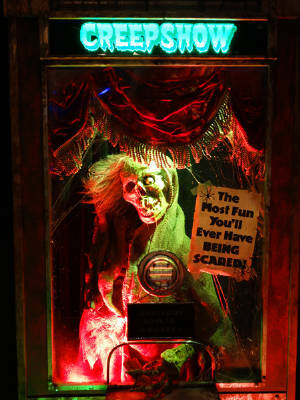 Step inside and take a look at all the terrifying exhibits on display. 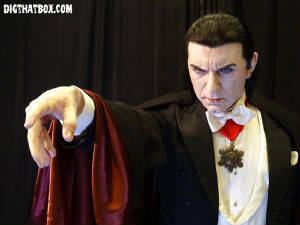 See incredible animtronics, magnificent mannequins and super scary masks from all your favorite horror and sci-fi movies. 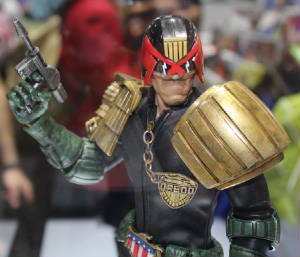 Get ready for WonderCon 2015 with our exciting preview of the big show. Get a jump on your fellow attendees with our complete guide to the best events at the show. It's the most wonderful con of the year! Click the link to learn more. 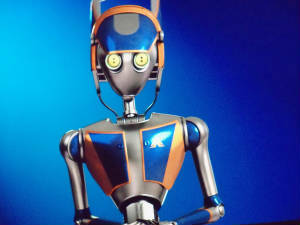 Star Wars: Regrets of the Past is a new film from a talented group of international filmmakers. Learn all about this ambitious new production in our first ever bilingual report, available in both English and German. 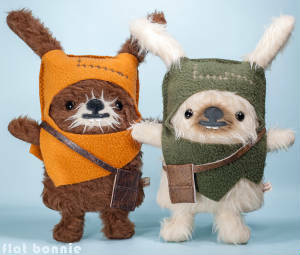 Star Wars fans worldwide will enjoy this epic tale of adventure set in the galaxy far, far away! 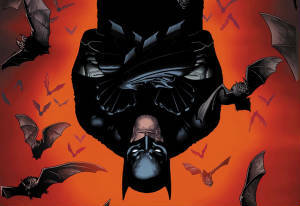 Batman fans have all read the biggest and the best stories in the career of the Caped Crusader. However before Arkham Asylum and the Killing Joke there were other tales that greatly helped to shape the Batman mythos. Take a look back at some of the lesser known but equally important tales of the Batman and see how they helped create the character we know today. 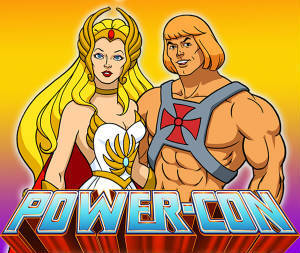 The Power-Con convention arrives in Torrance. This extraordinary event celebrates Masters of the Universe, the Ninja Turtles and ThunderCats! Honest Abe is on the scene to give you his first hand report. 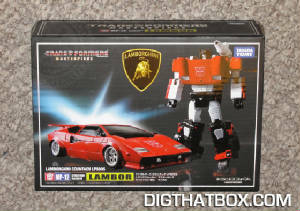 Honest Abe brings you the inside scoop on one of the most anticipated toy lines of the year. 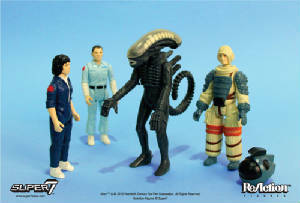 Toy company Super 7 has resurrected the lost Alien action figure line. 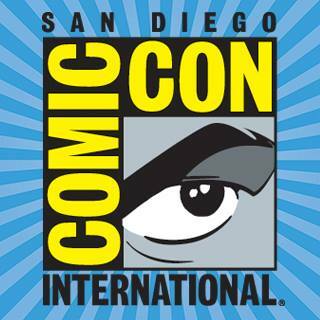 Read on for the details about Aliens invading San Diego Comic Con! Golden Apple Comics celebrates the release of G.I. Joe: Retaliation with a special fan event. Actress Elodie Yung, who plays Jinx in the new movie, was on hand in her first ever public appearance. It was a day of fun at LA’s favorite comic store. Discover the Terrifying Secret of Mark Zuckerberg's Facebook Account! Discover the terrifying secret of Mark Zuckerberg's facebook account! Our resident gonzo journalist discovers the biggest secret on facebook. 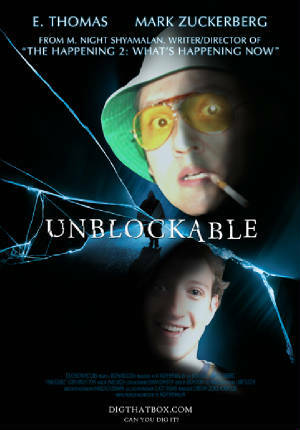 Mark Zuckerberg is unblockable! 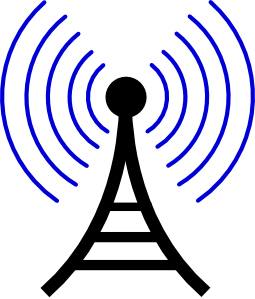 Our resident Transformers expert Jason Stern was recently for the Australian radio program "Drive," hosted by Bernadette Young. 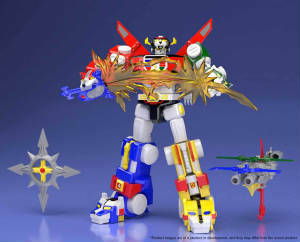 Learn the origins of the toy line, and hear about the unique political environment that led the rise of the classic 1980s toy cartoon. Click the link to hear the entire interview. A lucky Star Wars fan has made the discovery of a lifetime. 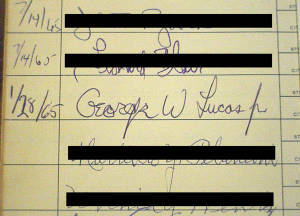 One of our readers has found what could be the earliest George Lucas signature on record. Click the link to read the story of this incredible discovery. And see pics of the first George Lucas autograph. Honest Abe returns from a galaxy far, far away with a personal review of the newly revamped Star Tours ride at Disneyland. Get a closer look at the hottest theme park attraction in the country. Click the link to learn everything you need to know about this amazing new ride! 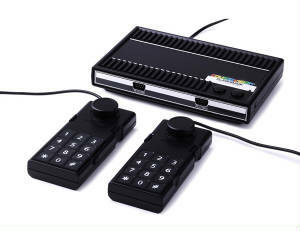 Check out our top 30 list of the weirdest toys ever made. This feature is packed with images and videos. 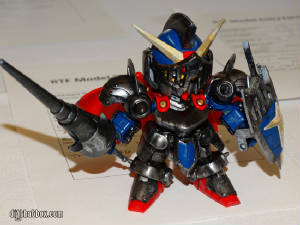 We cover strange and unusual toys from around the World. These toys are dangerous, shocking, inappropriate, disgusting and completely hilarious. This list has it all! 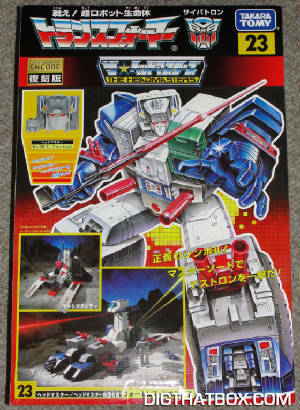 And now we've added several NEW bonus toys to make things even more bizarre!